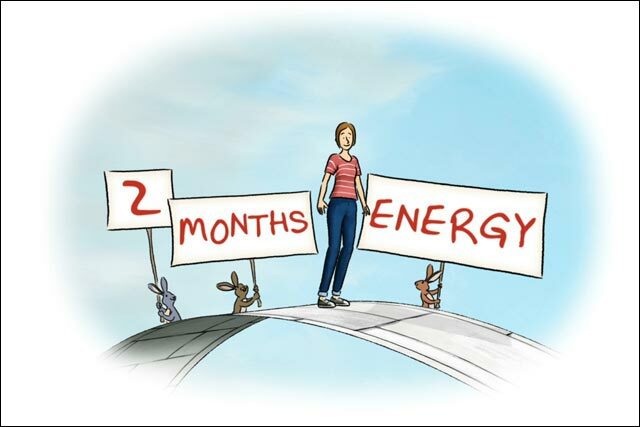 E.ON is seeking to "build trust, knowledge and engagement" among its customers with the launch of an Energy Fit Plan proposition, which will offer consumers two months' free energy. The free gas and electricity will be offered in the 12th and 24th month of the contract. Jeremy Davies, the supplier’s marketing director, has stressed the importance of building trust at a time when the energy sector is under attack from politicians including energy secretary Chris Huhne and opposition leader Ed Miliband. The new proposition will be supported by an integrated campaign that goes live on Saturday (October 8) and will see the brand continue the animated look of past advertising. DLKW Lowe created the campaign and 20:20 has handled the below-the-line elements. Former 'Coronation Street' star and 'Strictly Come Dancing' contestant Jill Halfpenny will provide the voiceover for the TV ad. Davies said: "We have a customer panel of 28,000 whom we constantly talk to – this tariff is something they said they would support and wanted". The integrated campaign will be supported by an advertiser-funded Channel 4 television show called ‘Future Family with E.ON’, which marks the first time the channel has allowed a programme from its specialist factual department to be ad-funded. The five-part series shows a Sheffield family making energy efficiencies in their home and follows five themes: work, rest, play, food and wellbeing. A third element of the campaign will involve an online co-creation initiative inviting people to come forward with simple ways to be more energy efficient, with a view to introducing the five best ideas in 2012.